John Wernham first began reproducing the early osteopathic texts in the 1950s. He believed there was an infinite source of invaluable information which the early pioneers in osteopathy had produced from their own research and practice. Since many of these publications were no longer in print, it was his earnest wish to make these available to modern students of osteopathy. Among the early publications were Osteopathy-Research and Practice by Dr. A. T. Still; The Selected Writings of Carl Philip McConnell; Body Mechanics in Health and Disease by Goldthwait; Applied Anatomy by Dr. Marion Clarke. This was in addition to reproducing the Lecture Notes of his friend and mentor Dr. John Martin Littlejohn, which resulted in the printing and publishing of a considerable library of these texts, until his demise on 9th February 2007. 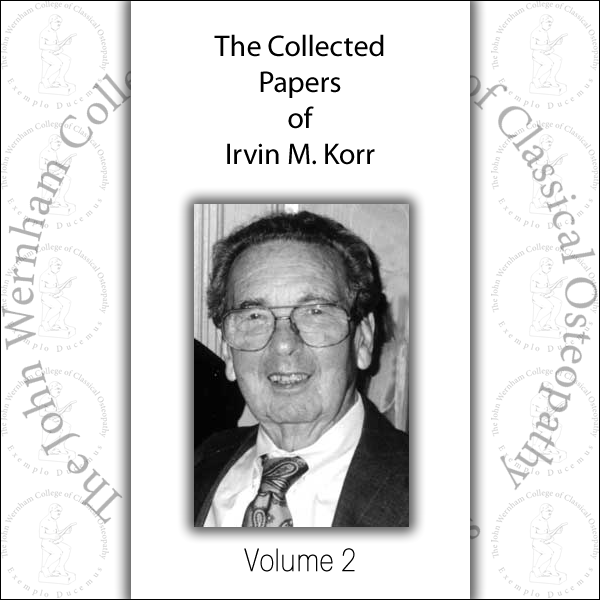 The John Wernham College of Classical Osteopathy is proud to continue his legacy with this present publication. 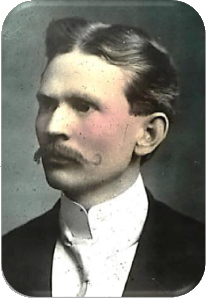 The College is grateful to Jason Haxton, Director of the Museum of Osteopathic Medicine, in Kirskville, USA, for his assistance in providing images of Dr. Still’s Chair, the A. T. Still Infirmary, and photograph of Dr. G. D. Hulett from the Museum archive. The text and images have been reproduced as they appeared in the Third Edition published in 1905; the majority of the American spelling has been retained throughout. Additional images relating to Dr. Still have been included for the interest of the reader. 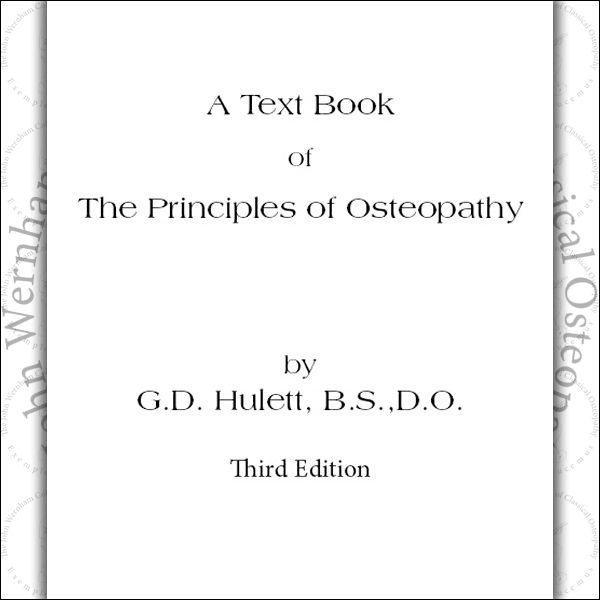 In presenting this work on the Principles of Osteopathy, the author is aware of many imperfections both in thought and arrangement of subjects; yet he is further cognizant of the fact that, owing to the dearth of satisfactory literature of the nature of which this work is illustrative, there are many in the student ranks as well as in the field who will welcome it in spite of its many faults. It must be understood at the outset that the work is designed primarily for the student who is but beginning to be interested in the new method of healing. Hence to those who are already practitioners of that method the matter contained in the following pages may not seem particularly new or satisfying in the way of suggesting ideas of an immediately practical nature. Yet we are not without hope that even to the latter class there are many points of interest which will help to throw light upon some of the many vexing problems that continually arise in the experience of the busy practitioner. Neither should it be assumed that the work is intended to treat exhaustively of the numerous questions of theory that are associated with the science. That is entirely beyond the scope of a work that is prepared especially for him who, under the circumstances of a comprehensive curriculum of study, crowded into a period of time all too short, must of necessity limit his reading in all subjects to those texts which give but a comparatively brief treatment. This work, therefore, is rather but an outline of the various subjects that are most closely related to the fundamentals of the science, with suggestions as to the direction further investigation should take. The various subjects outlined and the manner of their treatment are the result of the labor of the author which has been especially devoted to the principles of osteopathy during his course as teacher in the American School of Osteopathy for the past three years. In large part the work here presented is a revision of lectures delivered before the classes in Principles of Osteopathy. The work is divided into Parts I and II, indicating a difference in the nature and arrangement of the matter treated. This difference lies in the more general nature of the substance of Part I, the more specific in Part II. Certain fundamental propositions bearing on the general problems of life, health, and disease are discussed in the former, while the deductions drawn therefrom are applied specifically in the latter to the various regions of the body. Acknowledgement of indebtedness is hereby made to all those who, either directly or indirectly, have aided in the elaboration of the subject matter, and in the preparation of the volume. To Dr. A. T. Still, the founder of the science, special thanks are due for continued oversight and frequent correction – a fact for which is felt the deepest gratitude. 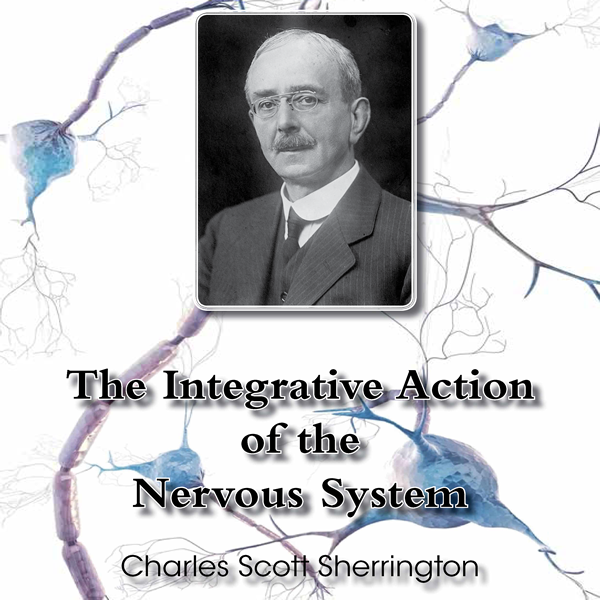 Dr. Charles Hazzard, the pioneer as an author of a textbook, and an exponent of osteopathy of wide and enviable reputation, has as teacher and co-laborer, been of very material aid and inspiration in the work. 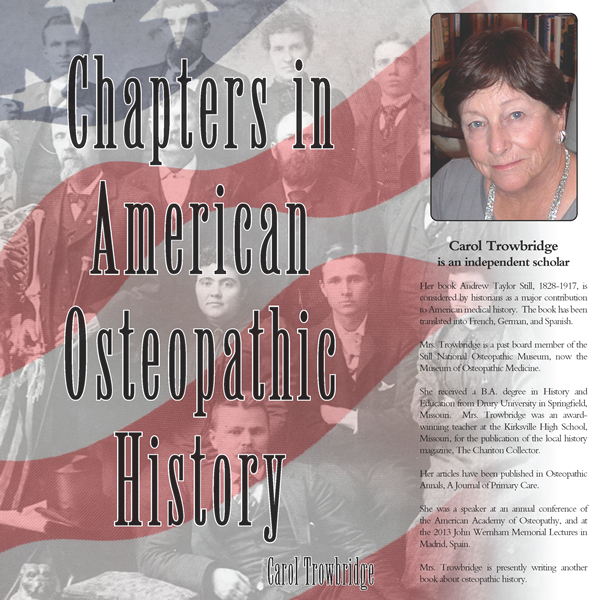 Other members of the faculty of the American School of Osteopathy, as well as numerous practitioners in the field, have incidentally or specifically contributed to the material which has been systematized and formulated in this volume. To Dr. C. M. T. Hulett, of Cleveland, Ohio, the author is under obligation for many suggestions, and especially for his patience and care in reading the manuscript. Dr. G. D. Hulett had done but little toward revising the text for the third edition of this work. Among his papers were memoranda indicating his purpose of considerable revision of existing text, additions to some chapters, and the writing of one or two new chapters. None of these were elaborated, and no attempt has been made to make use of them. The changes indicated by him which have been made, are the removal of references to authorities from the body of the text, some inserted footnotes, and the rearrangement of one chapter. Essentially the third is therefore, a reproduction of the second edition, which was received with such favor by the profession. The present edition of this work does not differ materially from the first which was published one year ago. The more important changes that have been made consist in the revision of several sections in Part I, with the addition of a few topics and amplification or condensation of others. The arrangement and titles of some of the chapters and sections have been somewhat altered, while the illustrations have been increased in number and made from entirely new etchings. The author is under obligations for the drawings to Mr. W. H. Richardson, a member of the senior class in the American School of Osteopathy. To the members of the profession and editors of the Journals who have kindly criticised the first edition, the author is under obligation for many valuable suggestions which have been freely utilized in the preparation of the second. It is hoped that the numerous errors, which marred the usefulness of the first edition, have been in large part eliminated.